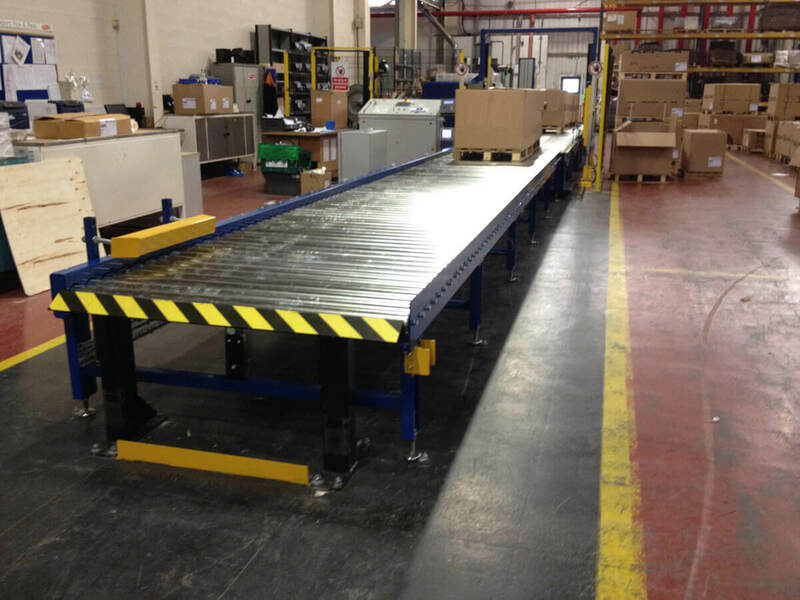 Andrews Automation has just completed a small pallet strapping system project this weekend that was installed in just 1 and half days. The project was for a very large car parts manufacturer in the Midlands, who wished to extend their current system with additional zones. Andrews Automation designed, manufactured and installed a bespoke solution that was tailored to exact specification the client provided. 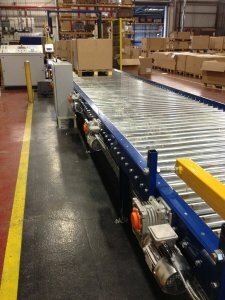 Andrews Automation designed, supplied, controlled and commissioned an extension to a fully automatic pallet strapping system that involved an additional 5 pallet zones with automatic accumulation. 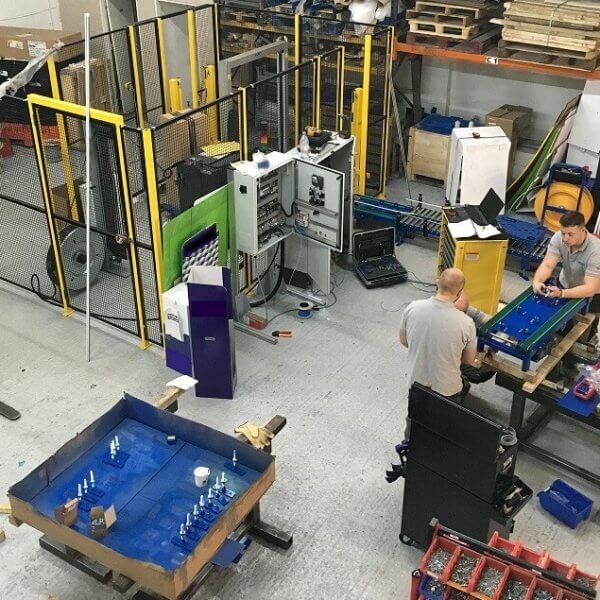 To keep disruption to an absolute minimum, Andrews Automation completed the installation of the system over a 1 and half day period on a weekend. This allowed the client to continue to use their system as usual as the installation was complete during their scheduled weekly downtime. Andrews Automation always work around the clients timetable, not ours. The images below show the completed installation that was integrated into the current system. If you have an existing pallet strapping system that requires extending, Andrews Automation can provide a versatile solutions which works perfectly with your current system. 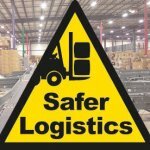 Give us a call today on 01405 768 900 to discuss your automation requirements.